In January 2017 I was approached by Our Future City and South East Dance to lead a series of workshops in a local school. The sessions were to develop around the generic topic of #BeWell and, in particular, around the issues of belonging and trust. This is a topic close to my heart. 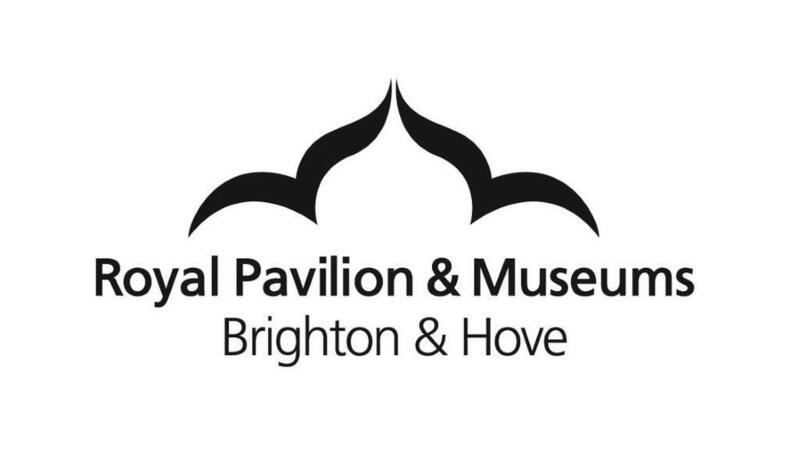 My work in this field has been mostly with adults through Synergy Arts with musician Polina Shepherd (2006 – 2009), Dancing for Health and Wellbeing with Sports Development at Brighton and Hove City Council (since 2012) and Finding your Compass with film maker Fiona Geilinger (since 2012). Although I have been working in schools for over 20 years (most predominantly through my role as Dance Resident Artist for Same Sky working on the Children’s Parade), I saw this as an opportunity to take the experienced gathered on topics around health and wellbeing to younger audiences, and learn through the process. I had a meeting with OFC and the teacher of the local school to discuss the main issues. We explored some of the dynamics in the class and the need to focus the sessions around the sea, as main stimuli, to link with the curriculum. Straight away there were all sorts of images that came up that could be used for the performance, e.g. schools of fish, synchronised swimming aesthetics, pirates, and this gave me food for thought to prepare for my meeting with the children. I met the Year 5 students the following week and we started talking about how it felt to be near the sea, what they liked doing, associations with the sea, etc. They came up with plenty of ideas, images, feelings which we started putting together in a short choreographic phrase. This was the beginning of what was to become a 13-minute performance. In the sessions, I realised that there was a child that was not that interested in the movement we were working on. She was keen to support me so we found ways in which she could be integrated in the sessions. The idea of using words then came up and I asked her whether she was keen on reading something at the performance and/or creating a piece. She took that opportunity and wrote riddles which then were enacted by a group of children, which was integrated in the performance too. She later on joined in the movement using one of the props! A series of serendipitous moments (mostly watching films with my two-year old son) brought in interesting music which we experimented with. Some songs worked better than others and we kept the ones that really motivated the children. 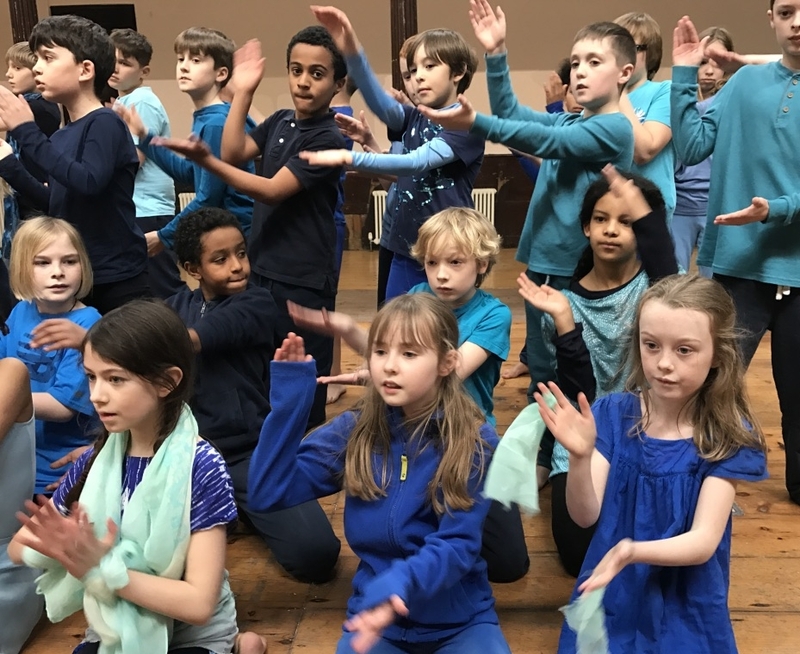 So, with a combination of small group-created movement pieces recreating pirate scenes, use of props (thanks to Same Sky), spoken word and ensemble pieces, the children created a performance which encapsulated playfulness, belonging and trust around nautical inspired music. The process was highly enjoyable but was not free from challenges. The school time was packed with deadlines which made difficult to have a focused debrief with the teacher and TAs. We tried to go around it through emails and very focused structure of the sessions. This had the potential to fail but in this occasion, it worked out as the children were engaged with the project. The flow of the project was also broken with half term and a prior work commitment. However, the teaching team used this time to delve into the small group pirate scenes which enormously supported the development of the performance. It must be said, that the support and dedication of the teaching team really made a difference as they prompted the children and kept their focus throughout the project. Big thank you to them! Although my contact with the children was two hours per week for four weeks, I could really see that there was a subtle change in dynamics where the group seamlessly went through one task to another, widened their group of friends and those who were quite shy to start with, started to show some leadership skills. It was highly inspirational to see, and a reminder of the need to continuously support children to develop their strong suits in their own way within a group. The final performance took place at Fabrica, which made the sharing very special not only for the children, the teaching team and myself but also for the parents who were eagerly queuing up earlier than the announced time! The children performed their pieces beautifully and with confidence and it was so amazing to see how proud they were of what they achieved! Thank you Our Future City and South East Dance for inviting me to be part of this amazing experience. I learned a lot and made me understand once again the powerful message of dance as enabler to reach areas and dynamics that are difficult to reach otherwise. Thank you! *Please note, Rosaria's blog also features on South East Dance website here. 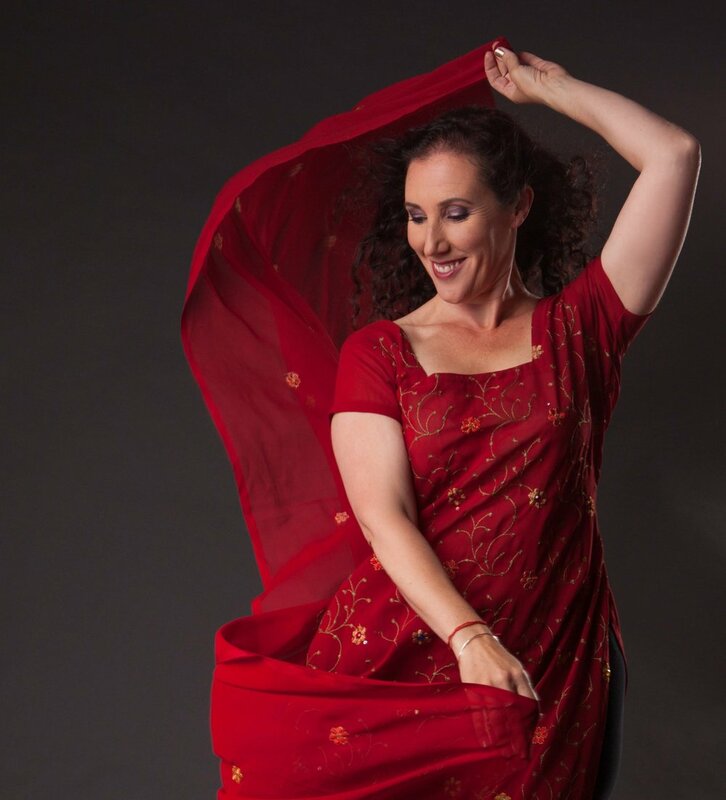 Rosaria M. Gracia is a versatile dance maker, choreographer, performer and movement director. She specialises in international dance genres although draws from a rich palette of different music styles and folklore. She works with the public, private and community sectors, as well as with professional and new artists. In her work with schools she deploys a co-production model where she provides the framework for the ideas to flow and take shape, transforming seemingly disconnected images into a performance where all participants feel ownership of the work and create something they are proud of.